State Archaeologist Tanya E. Krajcik demonstrates New Hampshire's new EMMIT historical records database. State officials launched an online database Tuesday that gives users access to more than 16,000 historical documents. 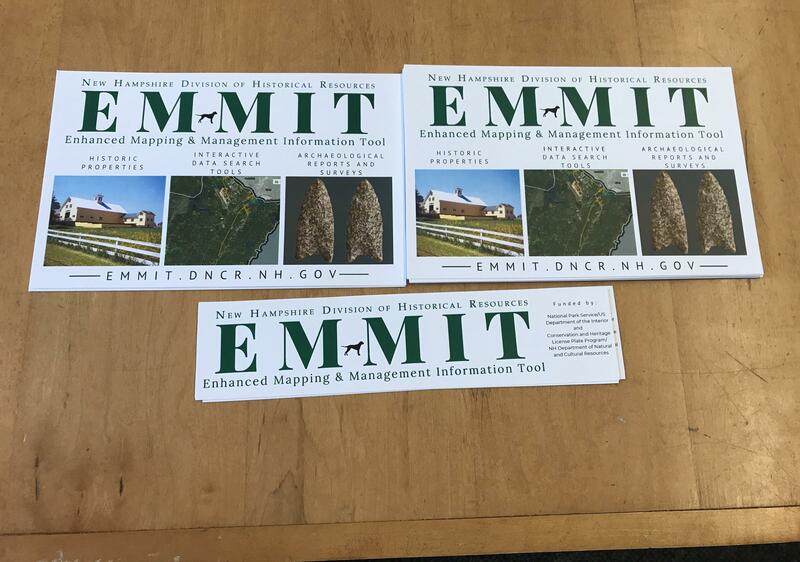 It's called the Enhanced Mapping and Management Information tool -- or EMMIT for short. Envisioned about 20 years ago, the system provides instant access to records. Elizabeth Muzzey, director of the Division of Historical Resources, takes EMMIT for a spin, using our current location at the Department’s headquarters. Hundreds of dots populate an aerial map, and with a click each one could lead to photos, property records and in this particular case a 91-page file on the historical significance of a Concord neighborhood. Muzzey says she hopes the system will prove invaluable for environmental researchers, engineering firms and history buffs alike. “And basically anyone who is interested, perhaps, in their own house's history or the history of their communities, certain themes in history, will want to take a look at EMMIT and see what else there is out there,” Muzzey says. After a short registration period, users will be able to use the system as long as they have an internet connection. Although there is a fee for using the system ($60-a-month or $400 for a yearly subscription) Muzzey says the department will determine the cost on a case-by-case basis. Last week, The Exchange went to the historic Belknap Mill in Laconia to talk to a live audience about what it takes to make New Hampshire's old buildings relevant and useful for today.